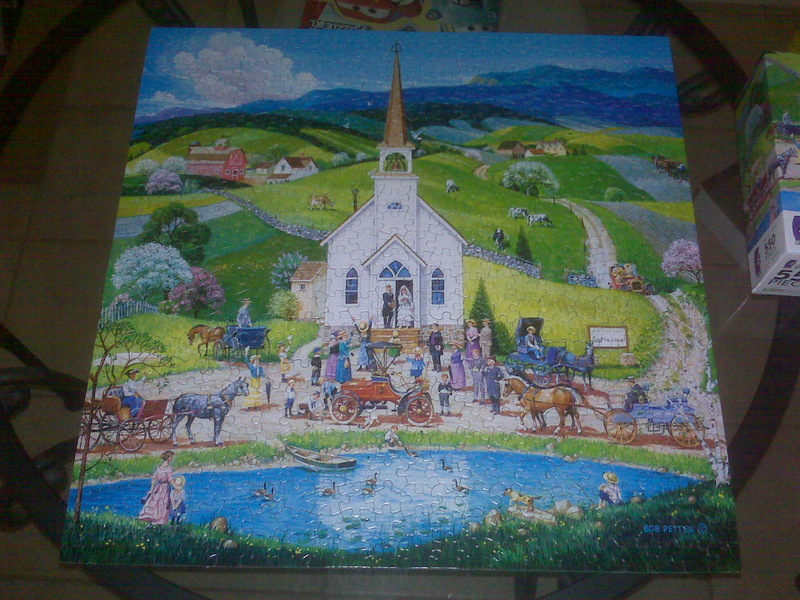 My first jigsaw puzzle | Tales From The Ipe! I’m sure this isn’t really noteworthy, so please go ahead and yawn. I’ve never been good at jigsaw puzzles. The Ipes didn’t do them growing up, and whenever I tried to participate in other people’s jigsaw puzzle adventures, I got frustrated early on. This time around, Nums (as always) introduced me to doing jigsaw puzzles in a new and better way. Following her lead, I enjoyed it, worked with her to complete it, and I felt relaxed. This was a 550 piece puzzle.